SIT, Societa’ Italiana Tecnospazzole SpA, leader in the production of industrial brushes, considering the growing request of brushed products in the wood sector, introduces a new range of articles designed with our customers. 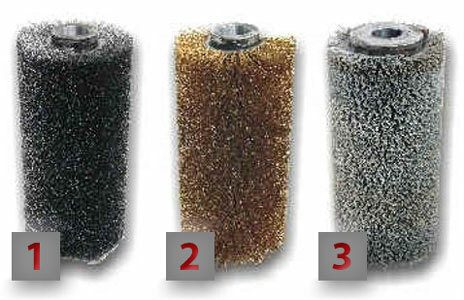 Tampico (plant fiber) that also has a very light abrasive function of finishing. 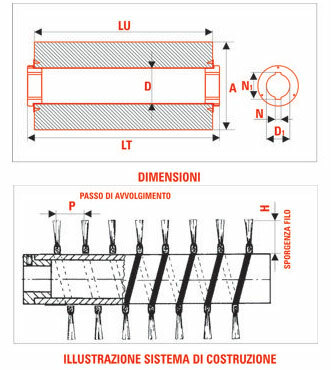 Indicated for light jobs, for surface roughening. Can be used with high rotation speed, long life service and very good quality/price rate. 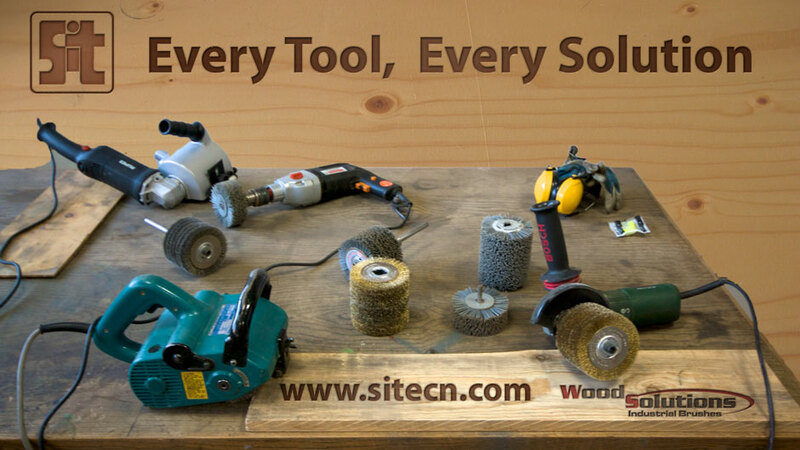 In the wood sector it is the ideal for brushing machines on polished or laminated wood. Composition of high quality carbon steel wires with brass surface coating. It offers very high breaking loads and very good dimensional stability. 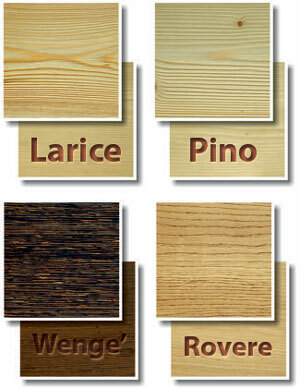 To scratch wood and rubber obtaining predetermined surface finishing. High resistance and hardness. It preserves the shape and resists very well to abrasion. It is similar to Nylon 6.12 but abrasive. It is used to debur metals, plastic materials and it is also very effective for sanding the wood and roughen the surfaces. Not subjected to static electricity. Excellent in cleaning and dust removing. 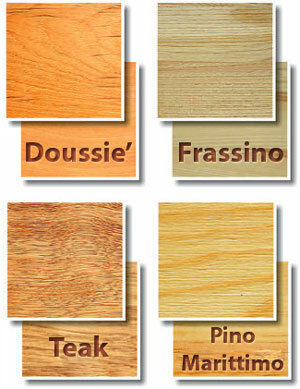 Beside for brushing surfaces of polished and laminated wood it is used for dry seals and for applying liquids. Not subjected to static electricity. Used mainly for the superficial processing of wood, for polishing metals and for seals at high temperatures. 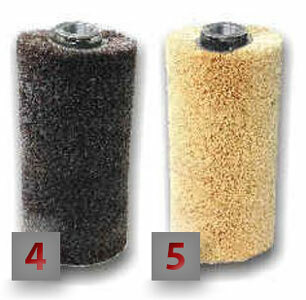 SIT is starting to develop abrasive linear ragged brushes using filaments in tampico, that are currently used in sanding of raw and painted surfaces. It will be our care to present these products to our customers, as soon as we will be able to provide a range of products that satisfy many of the current needs. Brush rotating sense: towards or against the profile feed direction. Inside SIT we installed a TESTING ROOM with a 4 brushes rustic touch/brushing machine, manufactured by a leading Italian manufacturer, and with many different brushes. 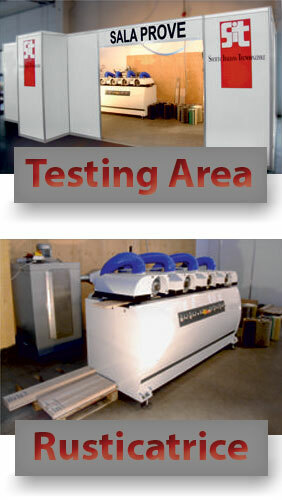 This machine, originally manufactured for the superficial processing of parquet, has a working tape 400mm wide. The brushes, bounce mounted, offer the possibility to test profiles much wider than the 400mm tape width; the max operating height of the machine is 80 mm, therefore this is the maximum thickness of the profiles to be tested.